According to the CBI, caterer Rakesh Tiwari helped public servants get tip-offs about corruption cases against them. 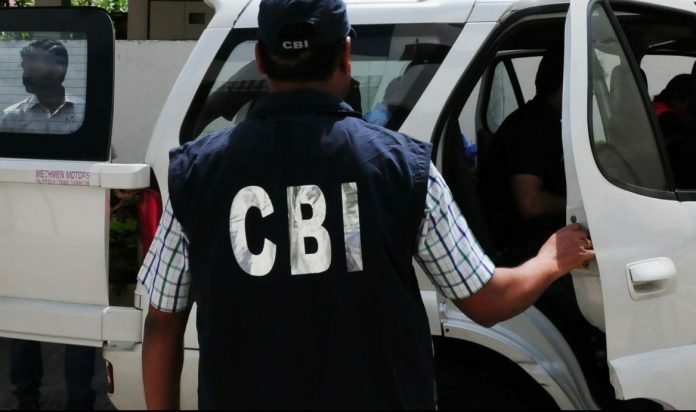 New Delhi: One anti-corruption wing of the CBI is probing officers of another following the emergence of a scandal that might have at its centre a plush Delhi-based club for senior and retired bureaucrats. Recent CBI raids at the Palika Services Officers Institute (PSOI) have allegedly exposed its use as a hideaway for the ill-gotten wealth of many public servants. The club’s caterer Rakesh Tiwari allegedly acted as a custodian of the illegal wealth, and helped his clients get tip-offs from the CBI about cases against them. According to sources, in a recent CBI search at PSOI, Tiwari was found to be in possession of details regarding hawala transactions conducted through a trader based in Old Delhi’s Dariban Kalan, apart from 20 Rolex watches, passports, and jewellery worth crores. Subsequent investigation led officers of the CBI anti-corruption wing II (AC-II) to discover that their colleagues in AC-III allegedly leaked information about ongoing corruption cases to the accused at the behest of Tiwari, said to be close to many serving bureaucrats, including AC-III officers. Tiwari has been arrested. “Tiwari used his personal influence with public servants to fix cases, promising relief, which is now being probed, and the investigation may throw up names soon,” a CBI officer told ThePrint. Sample this: Tiwari, sources said, is a close aide of one Neeraj Raja Kochar, who owns a Mumbai-based company called Viraj Profiles Ltd that was allegedly used to route illegal money by Vivek Batra, an Indian Revenue Service officer posted as additional commissioner (TSD) Mumbai, and his wife Priyanka Batra. In July 2017, the couple was booked by AC-III for allegedly investing ill-gotten wealth to the tune of Rs 6 crore in Kochar’s company. According to investigators, after Batra was booked, Kochar was in constant touch with Tiwari and allegedly paid him lakhs to get sensitive information on the case. “In lieu of providing case-related information to Kochar, Tiwari accepted undue advantages in instalments as a reward to induce unknown public servants of the CBI and use his personal influence with these public servants,” the FIR registered against Tiwari, Kochhar and unnamed CBI officers says. The investigation has revealed that Kochar allegedly sent Tiwari money via hawala through Kamal Ahmad, the owner of a shop named Hazrat Gems in Dariba Kalan. According to the FIR registered against Tiwari, on 2 August, Kochar sent Rs 20 lakh to Tiwari. “On 7 August, one Deepak Sakkarwal, employee of Kochar, handed Rs 15 lakh to one Shambhu Yadav, employee of Ahmad, to deliver it to Tiwari,” the FIR states. According to sources, the CBI is investigating six AC-III officers in touch with Tiwari. “Investigation has revealed that Tiwari was in direct contact with officers working in the AC-III branch of CBI. Following this we have registered a case against ‘unnamed CBI officers and others’ and the matter is being probed,” a CBI officer told ThePrint. Among the public servants under the lens for seeking Tiwari’s help is an IAS officer booked by the CBI in a corruption case in 2015. Two others are from the union territories cadre, one of whom has since taken voluntary retirement.